IT was just another day in Gotham City – okay, it was a windy night in Lagmore – when one resident in distress was saved by Batman – or should that be Councillor David Bell dressed in a Batman jumper. 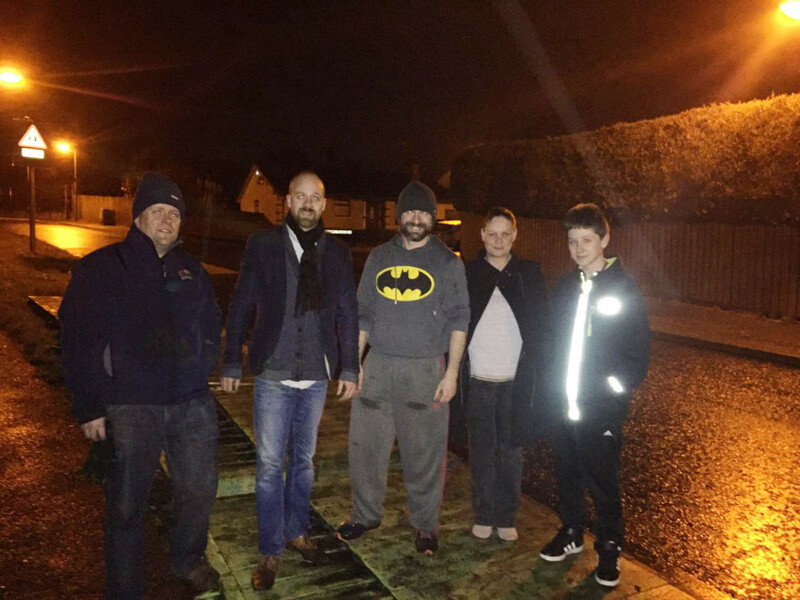 Allison McNaughton from Lagmore Drive was in a panic on Thursday night when part of her fence blew down in the high winds. But just as she thought all was lost, out of the darkness came a super hero in the shape of the Sinn Féin man, who just then knocked on her door to see if the party could rely on her vote in the forthcoming Assembly poll. Speaking to the Andersonstown News Allison said: “The wind was really strong on Thursday and my fence blew down onto the pathway. I was completely panicking because people were having to walk on the road to avoid it. I’m just so glad no-one was hurt when it blew down. Allison says the fence was “absolutely massive’”. “I would say it was 30 feet in length and seven feet high. I just really want to thank them. They didn’t have to do that, they went above and beyond and to be honest I would have been lost without them. In scenes reminiscent of the famous episode of Only Fools And Horses, Allison was surprised to see Councillor David Bell on the scene dressed in a Batman jumper. Speaking from his Batcave this morning, super hero Bell said: “We were calling at doors in Lagmore Drive, when we called at Allison’s door. Though you don’t always know what issues will come up, it was the issue that blew down that was causing the most concern.